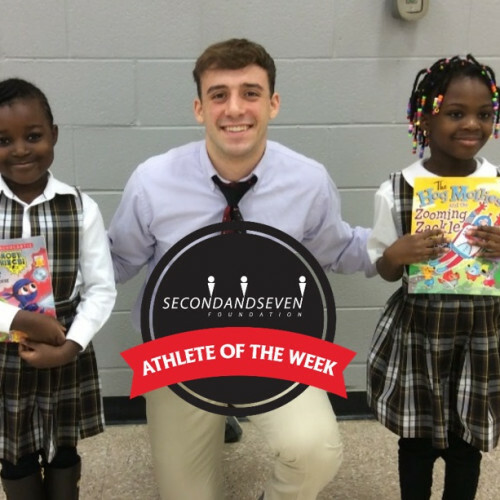 Donate Today The mission of The 2nd & 7 Foundation is to promote reading by providing free books and positive role models to kids in need while encouraging young athletes of the community to pay it forward. Across the country, The 2nd & 7 Foundation has donated over 300,000 books to kids in need since it started in 1999. During the 2017-18 school year, over 170 programs were implemented in 23 states, with over 67,000 new books distributed to children in need by positive role models from high schools and universities throughout the country. We are celebrating 20 years of encouraging readers and developing leaders in our community. Over the past 20 years, we have provided over 300,000 free books and positive role models to kids in need while encouraging athletes of the community to pay it forward. 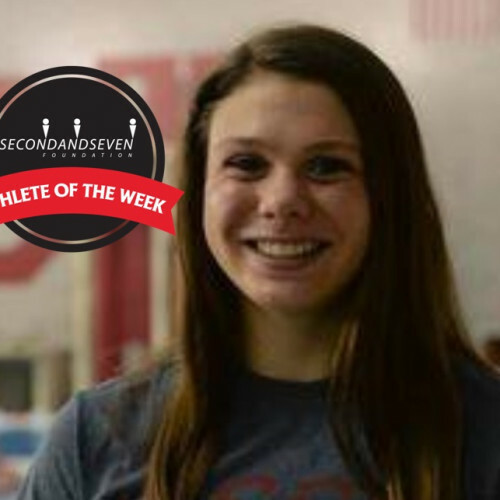 The 2nd and 7 Foundation was started in 1999 by three former Ohio State Buckeye football players—Ryan Miller, Luke Fickell, and Mike Vrabel. 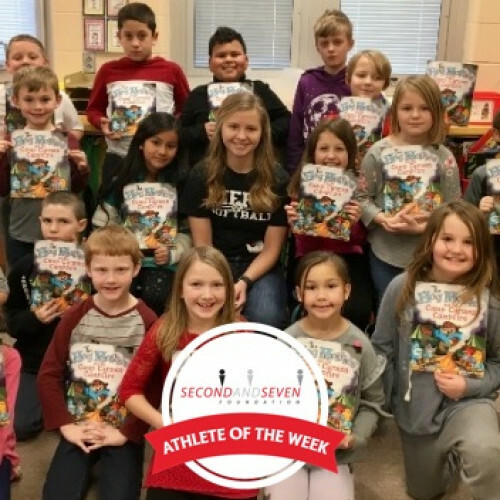 Inspired by their involvement in various community outreach programs as student-athletes, they decided to continue to make a difference by promoting literacy and providing positive role models for children in central Ohio. Over the past 20 years, the program has grown to 180 communities in 26 states. 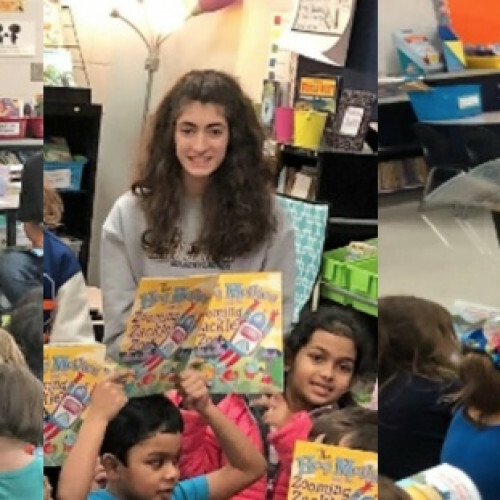 The “Tackling Illiteracy” program encourages student-athletes from universities and high schools across the nation to participate in weekly readings in second-grade classrooms. While in the classrooms, they are reading to the kids, passing out FREE books for the kids to take home and reminding the kids why it is so important to read. The 2nd and 7 Foundation created a book series called the Hog Mollies; each book teaches valuable life lessons. In 2019, we will be releasing the 12th book in the series! Student-athletes from universities and high schools across the nation are a huge part of our program. They are out in the schools each week, reading to kids, handing out books, and reminding the 2nd graders why reading is so important. They also use the themes in the Hog Mollies books to reiterate valuable life lessons. On Wednesday, March 27, every dollar spent in one of 19 central Ohio Jersey Mike's locations will be given to The 2nd & 7 Foundation - EVERY SINGLE PENNY! So please be sure to eat at Jersey Mike's on March 27 and feel amazing knowing that your meal is a donation! What a tasty way to give! Our Tackling Illiteracy program pairs student-athletes with 2nd graders all across the country. Each child reads with these positive role models and gets a new book to take home. We target schools with economically disadvantaged kids and communities where we can make the biggest impact. The gift of your time is priceless. We are grateful to the many volunteers who support The 2nd & 7 Foundation in various ways throughout the year. Volunteers help with our events such as The Derby, Football Camp and Celebrity 8-Ball Shootout. Also, we participate in many local reading events and festivals that focus on children, reading and our efforts to Tackle Illiteracy. We would love to have you join our team!